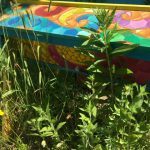 On June 21st, it had been about two weeks since I had inspected the Meadow Hive. 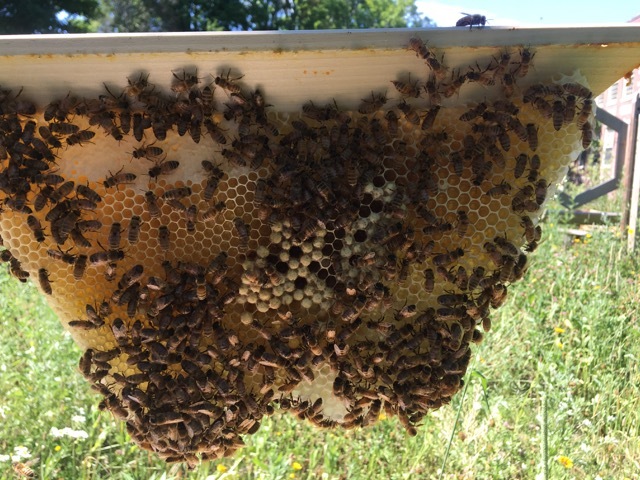 This hive is one of my two hives that is growing at a rapid rate. 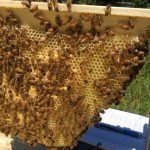 The goal now is to make sure that they are not nectar bound. 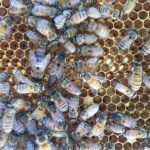 When a hive is nectar bound or honey bound, there is no where for the queen to lay eggs. 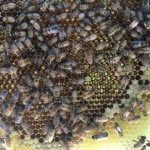 When the queen runs out of space to lay eggs that’s when the bees prepare to swarm. 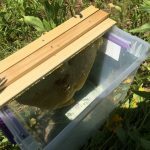 Two years ago, I lost one of my colonies due to late swarming. 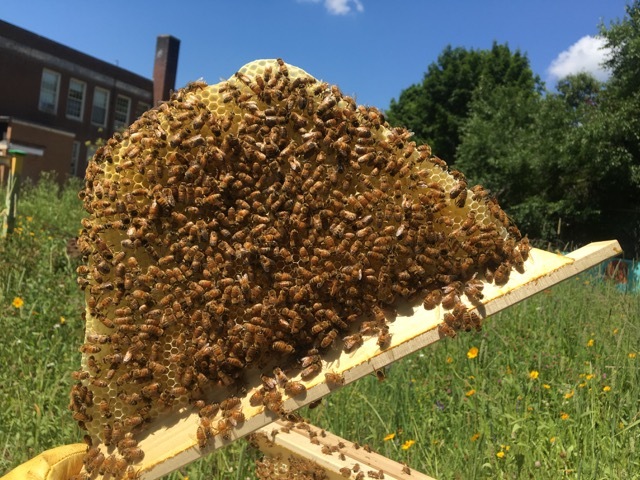 They swarmed because they were nectar bound. 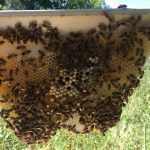 That colony was a first year colony and everything that I had read said not to take resources from the hive the first year. I have learned my lesson and I now know that I need to better gauge the situation instead of just following a blanket statement. 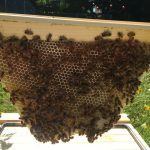 No matter the age of the colony, I will take out bars with nectar or honey to give them more space if they need it. 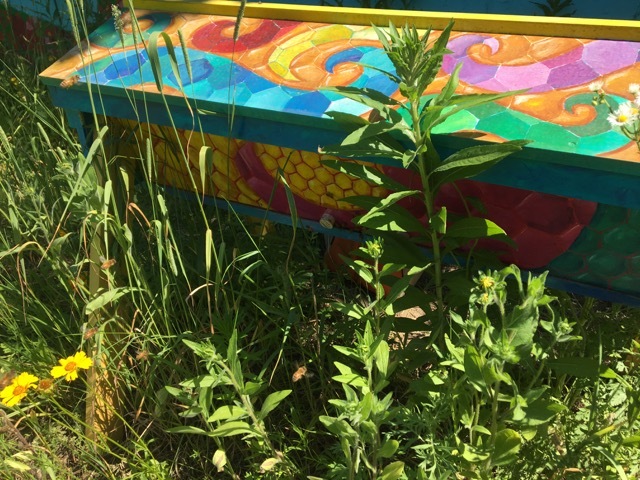 This hive is growing very quickly and very soon to be nectar bound. They had thirty bars and all of them were fully drawn out. This meant that they had only two spaces for bars left. 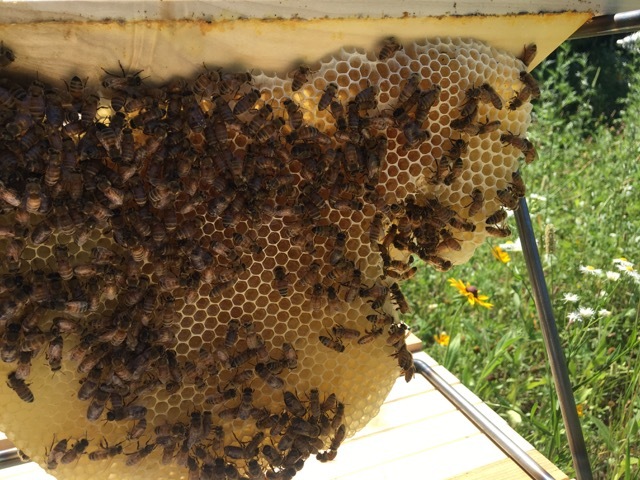 All thirty of the bars have nectar on them and twenty eight of the have capped honey. 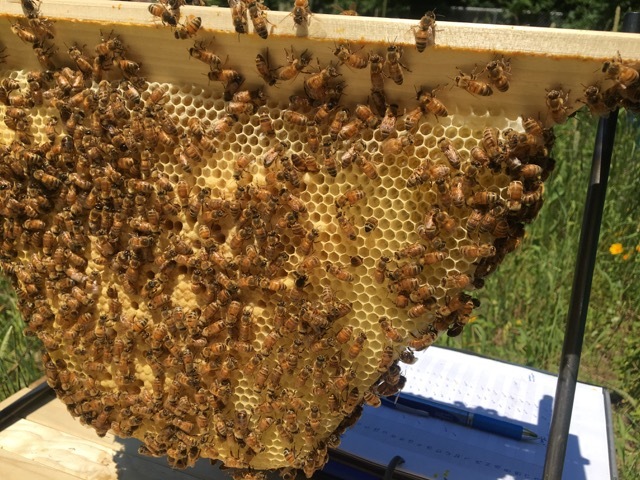 I removed three bars with capped honey on them and then added five empty bars for them to continue to grow. 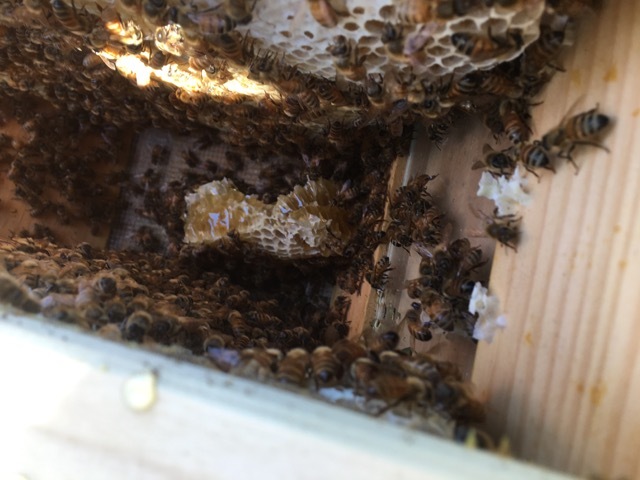 There is plenty of brood in the hive. 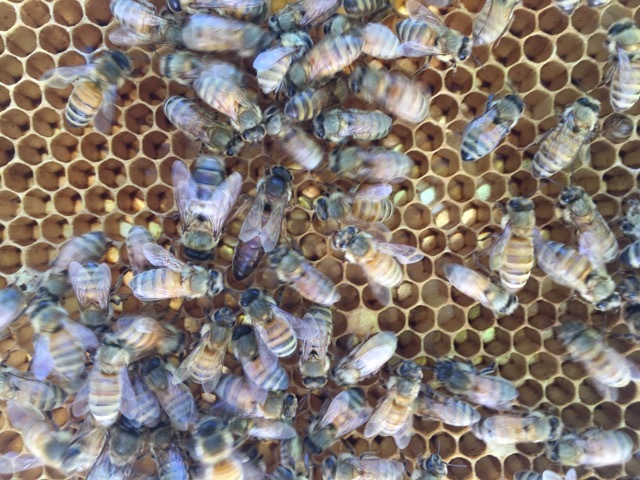 I found six bars with eggs and eight with larvae. 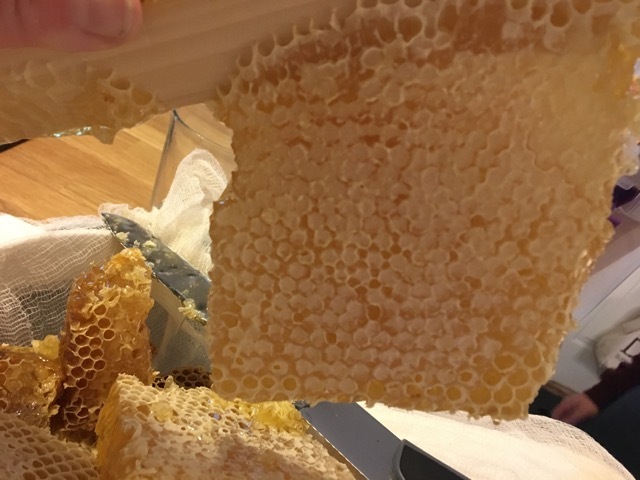 There was a lot of capped brood throughout the hive. There was also one small, empty queen cup. 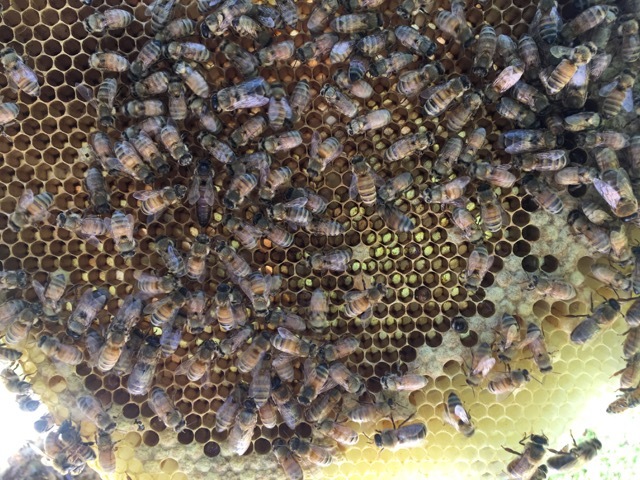 This colony is doing very well and growing at a fast pace. 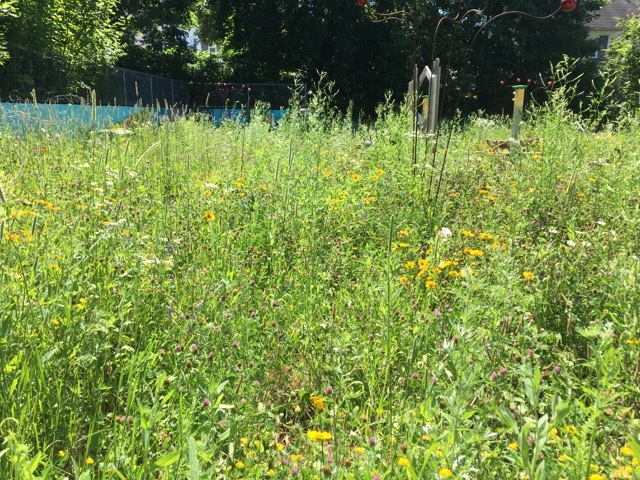 Adding the five empty bars will give them some space to continue that growth and feel like they have space. 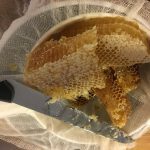 Before I closed up the hive, I needed to brush the bees off of the combs that I removed. 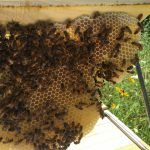 When I took the comb out of the hive, I grabbed some of the weeds around me, made a brush, and brushed off as many of the bees as I could. 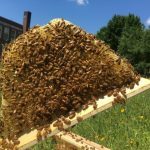 When I brushed them, I tried to get as many of them into the hive as I could. Then I put the bars into a plastic bin that I found that fits the length of the bars. 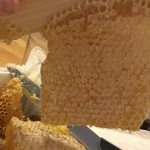 Some of the comb is being built funny. It’s not cross comb, but it is in a strange shape. The awkward shape of the combs is making it a challenge to get the bars to fit back in properly. I am already having a hard time with these bars. My thought is that it is because they are built differently than the bars that I am used to I am fumbling with them. 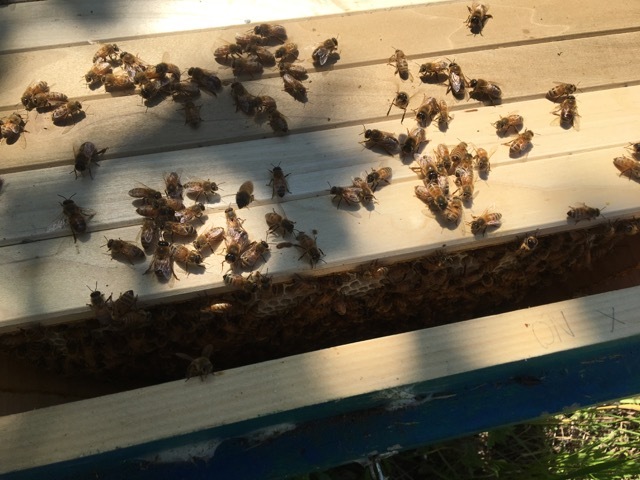 I can’t seem to get all of the bees out of the way when I put the bars back in. 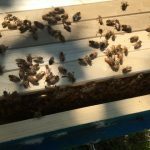 After the inspection and closing up the hive, I needed to get the rest of the bees off of the comb that I took out. 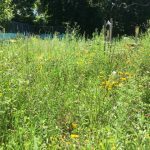 There are some weeds that are getting tall in the meadow, so I pulled some more of them to make another brush to clear off the remainder of the bees. 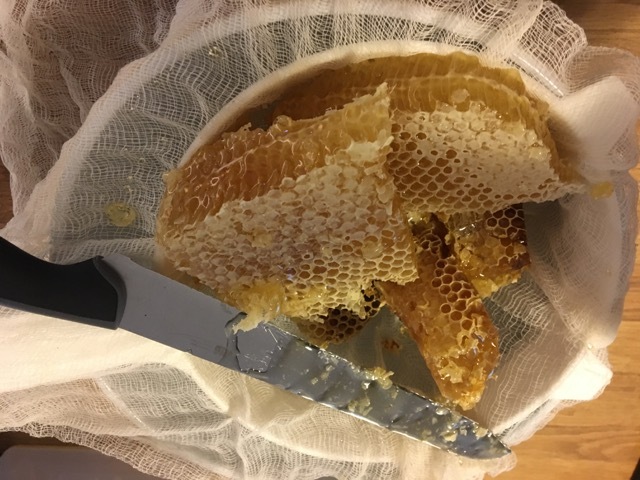 Then it was time to head home and process some honey! 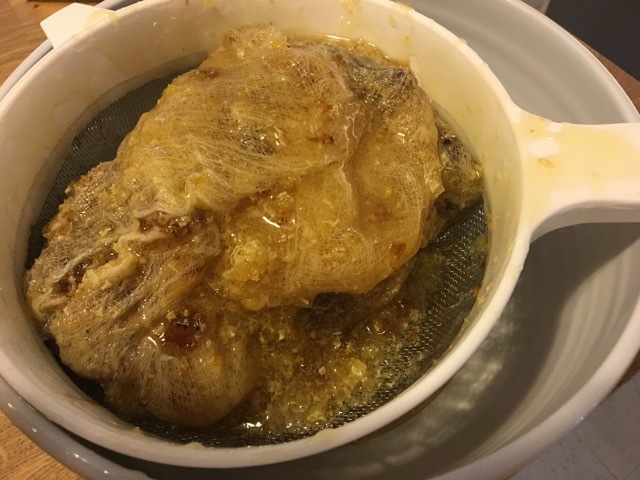 To process the honey I cut the comb off of the bars and put them into cheesecloth over a strainer. 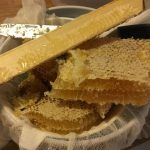 Then I wrap the cheesecloth around the comb and crush it with my hands. I keep crushing it until there is no more give. 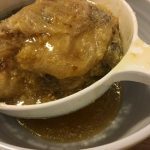 Then I place it in the strainer and let it completely strain. 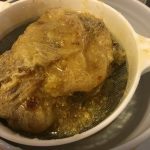 Usually, I leave it sitting covered overnight. 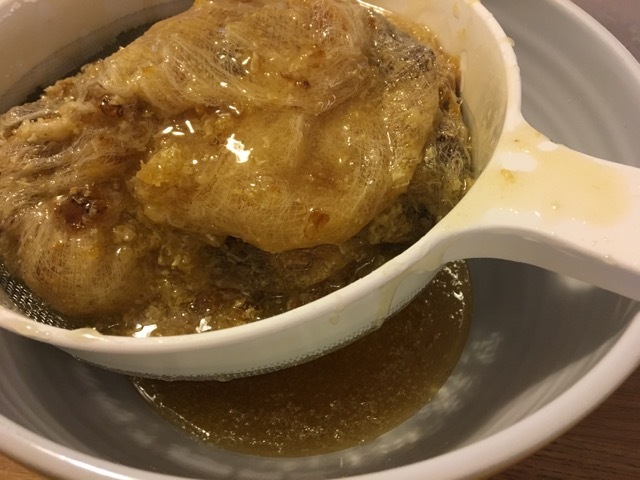 Then I squeeze it a bit more to make sure that most of the honey is out. 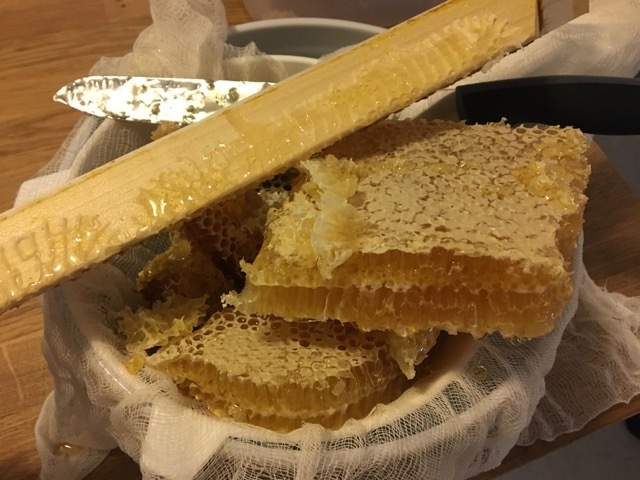 Once that is all done, I put the honey into jars and label them with the hive name, date, and amount in the jar. It’s amazing to me that this colony is so strong. 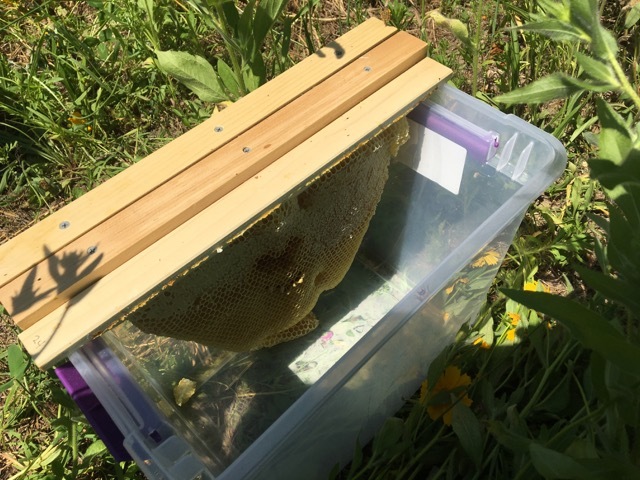 I have not had a hive that has been this quick to fill their hive with nectar and honey. 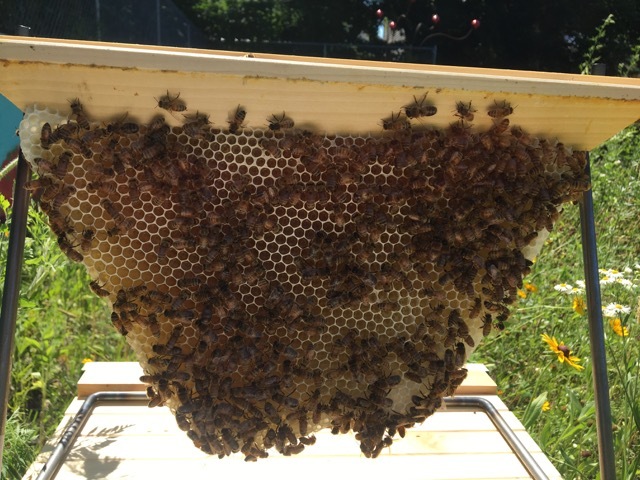 I will have to keep a close eye on them and possibly remove more comb if they need the space. Summer is just getting started!